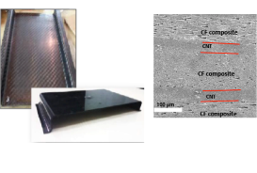 The intrinsic properties of carbon nanotubes together with the unique rope like structure created during the manufacture of mats impart unique physical and chemical properties. The material is light weight, has high strength, high toughness and exhibits high electrical and thermal conductivity. Tortech Mat has been successfully incorporated into composite as full Tortech Mat and hybrid structures. These are being evaluated and have been formed using a range of techniques including RTM and fabrication via pre-preg. Effort is also being directed at multifunctional composites. Tortech Mat layers are used in hybrid systems to form heating elements, conducting pathways, sensors, energy storage reservoirs or to provide heat management capability, antistatic or lightening strike protection. EMI Shielding attenuation is exceptional. At frequencies up to the current test limit of 100GHz Tortech Mat significantly out performs competitor materials. 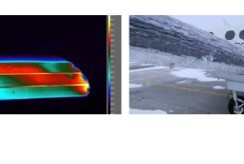 This performance is demonstrated by both Tortech Mat and its composite structures incorporating. 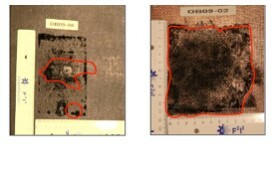 The combination of strength and ‘open’ structure led to Tortech Mat being evaluated as a membrane material. 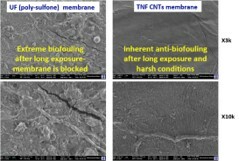 In addition to filtration in biofouling trials Tortech Mat showed superior resistance to bacterial contamination when compared to standard polysulfone membranes. Additionally a heating cycle ensures bio-decontamination of the Tortech Mat. With an areal density of 7 to 50 gsm Tortech Mat is strong and tough and can be cut and formed to meet the most demanding application. It is easy to handle and has good drape allowing it to be shaped and moulded.